Want to know what holistic, alternative and Mind Body Spirit events are going on? Visiting somewhere and you’ve only got your smart phone? The search-engine based website Merlin’s Diary – complete with mobile phone friendly version - is revolutionising the promotion and public awareness of Mind Body Spirit events in the UK. Merlin’s Diary enables users to access a centralised user-friendly listings site, complete with public reviews and events feedback that instantly brings together the most up-to-date national MBS event information. Since going live in August 2010, nearly 1000 UK-wide MBS events (and some overseas tours and retreats) have been listed. It’s like an ebay or amazon for MBS events. And it’s all free! 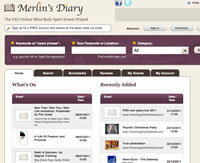 Merlin’s Diary offers feedback ratings; the option to repeat list events (such as regular classes); free downloadable flyers for users to circulate, assisting in valuable word of mouth PR; facility for users to add favourite events to social networking sites such as Facebook and Twitter increasing event outreach; detailed event information including distance and directions from user’s home; facility to bookmark several events during search for more informed decision-making; and the ability to break down searches into specific event categories such as talks, seminars, courses, workshops etc. What’s more, the mobile version will locate wherever you are in the country and tell you what events are on near you. Event organisers will be delighted to know that all event listings are free, making the site an invaluable resource for the MBS market. 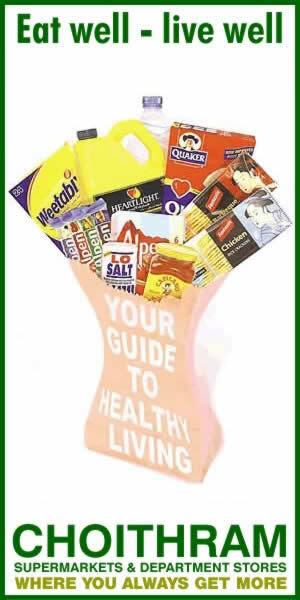 This free listing is to encourage the thorough dissemination of event information. It is UK-based at the moment, although there is a section for overseas events that seek to appeal to the UK market; the structure is in place for expansion into other international MBS markets.